In the past 10-15 years, road accident fatalities and injuries are increasing at analarming rate in Punjab. The main reasons are phenomenal increase in vehicle population, along with lack of matching initiatives for improvements in road infrastructure. Besides, Punjab is yet to apply modern traffic control and management tools to tackle problems related to road offences effectively. It is distressing to note that on an average 10 persons are killed in road accidents every day in Punjab. Besides causing untold misery to the victims' families, casualties in road accidents cause huge economic loss to the society. The present road fatality death rate per lakh population in Punjab is 12 compared to 12.8 of India and 24 of Haryana. Punjab has about 62,298 km of road network comprising 1,739km of National Highways and 1,503km of state highways, apart from major district roads, other district roads and link roads. It is to be noted that 83% of the road fatalities in Punjab are happening onthe 4.8% core road network of Punjab comprising National Highways and statehighways. The detailed age profile of road accident victims for calendar year 2014 in India reveals that the age group of 15-34 years accounted for 53.8% of the total road accident fatalities, followed by the age group of 35-64 years, accounting for a share of 35.7%. According to a report prepared by the Union road transport and highways ministry's transport research wing (TRW), the chances of getting killed in a road crash are higher in cities such as Ludhiana, Dhanbad, Amritsar, Varanasi, Kanpur and Patna. India's killer roads claimed the lives of 75,000 people aged between 15 and 34 years in 2014. Over 82% of these victims were males, according to the Road Accident Report for 2014 In 2014, 318 persons died in 475 crashes in Ludhiana while the holy city of Amritsar registered 94 fatalities in 165 crashes. The severity of road crashes in Ludhiana and Amritsar is attributed to overs-speeding and drunken driving. What is more alarming in Punjab is that there is a shocking increase of 71.5% in number of accidents in 2014 from the previous year. According to the data from the National Crime Records Bureau (NCRB), Ludhiana is third among 53 mega cities in the country in percentage rise in accidents in 2014 after Allahabad (226%) and Bhopal (98.1%). The number of road accidents in Ludhiana rose from 277 in 2013 to 475 in 2014. Punjab has witnessed a 22% increase in number of deaths in road accidents, with 5,565 people losing their lives in 2014 as compared to 4,588 in 2013. Amritsar witnessed an increase of around 23%. While 318 people died in road accidents in Ludhiana in 2014, 294 deaths were recorded in 2013. 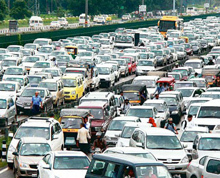 The city saw 71.5% jump in accident cases while the number rose by just 1.1% (from 6,323 to 6,391) in the entire state. The quantum leap of road accidents in Ludhiana alone has shocked the road safety experts. The rising road accident is a combined failure of various government departments, including road construction agencies. The statistics reveals the hollow claims of police and transport departments on taking enough measures to reduce the number of road crashes, according to KamaljeetSoi, an international road safety expert from Ludhiana. Poor traffic management by local police is attributed to the spate of road accidents on Punjab roads. 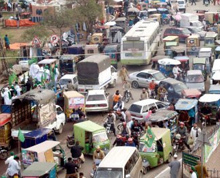 The absence of lane marking, lack of pedestrian crossings and foot overbridges, and rising traffic violations by motorists have led to chaos on the roads. According to road safety experts, there should be a systematic, technical and meticulous approach to reduce road accidents in Punjab. The civic bodies, builders and town planning agencies must come together to provide the best possible roads covering all aspects of safety, they said. Punjab traffic police must strictly punish the habitual offenders as they don't seem to have learnt the art of disciplined driving (or riding) on roads. With most of the wealthy families in the major cities of Punjab owning more than one car, the number of four-wheelers has grown exponentially on roads. The need to streamline car ownership in prosperous cities like Amritsar, Ludhiana and Bathinda in order to easily regulate the movement of vehicles in peak time is urgently felt by traffic police. Moreover, traffic police in Punjab needs to upgrade themselves with high-tech devices and efficient training to effectively put a lid on growing fatalities on the highways. Despite a robust transport system, the state is let down by lax policing which leads to road rage and related crimes. 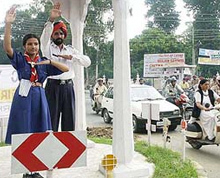 District police in Amritsar, Ludhiana, Jalandhar and Bathinda have to take up well-planned awareness drives through rallies, educating school children and placing ads in local dailies on the issue of road safety. Most the road accidents on Punjab roads could have been avoided if the stakeholders had taken up a joint interest in ushering in road discipline among users. The youth of Punjab who are major victims of road accidents have to be educated on the need to adopt safe driving with precautions like wearing helmets and following road norms. But here too, the traffic police must join hands with transport department for a sustained campaign targeting the youth and wealthy families on road safety. Road rage mishaps are common in Punjab and the society must be made to realise the importance of adhering to the traffic laws to ensure safety on the roads.